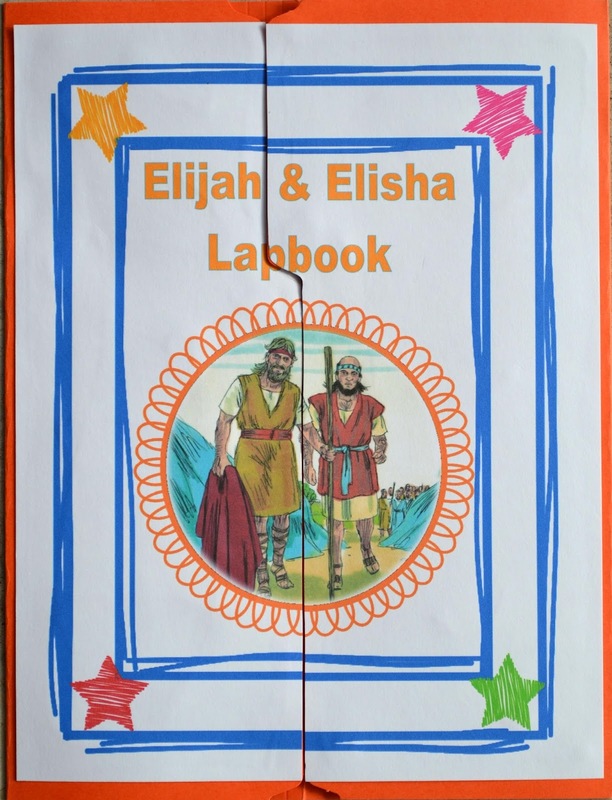 Bible Fun For Kids: What is a Lapbook? I really like lapbooks and file folder games. I have a LOT of them! They are really easy to make also! I use Microsoft Word, and I usually use the shapes that are on the Insert Toolbar. (But, I have just purchased a set of templates from the Candy Class on TPT, so the new printables will have new patterns!) 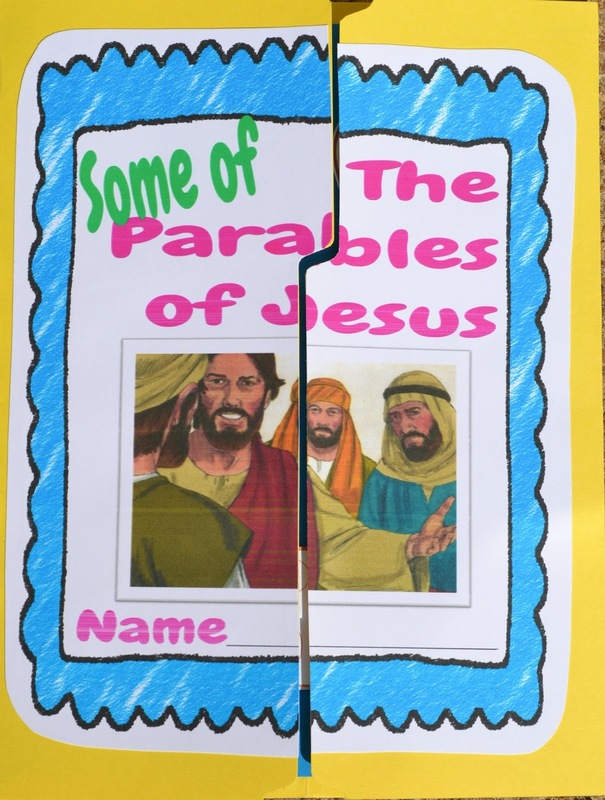 For Bible class, I prefer to have them cut and glued, ready to use at the end of the lesson for a review. And, I usually use it for the whole subject period. 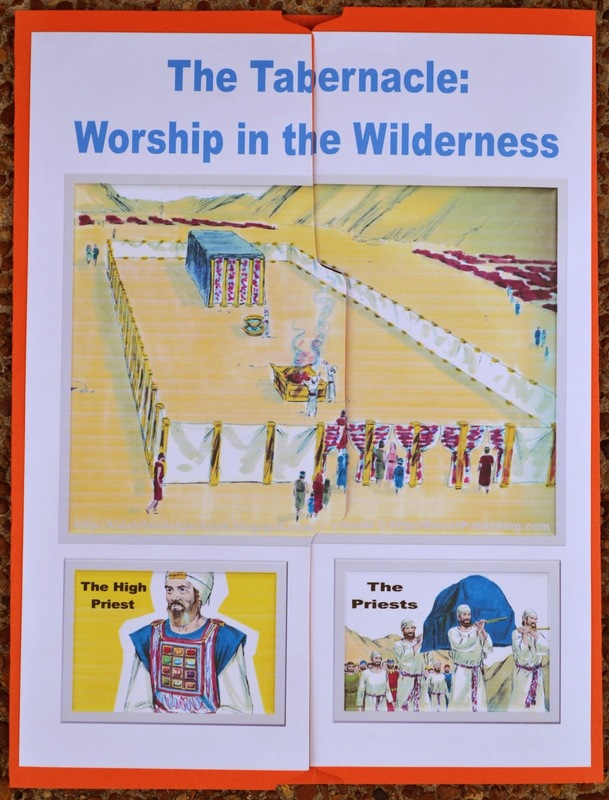 But, I did have several lapbooks that we used for just one lesson, like the 10 Commandments & The Tabernacle you see below. But, for homeschooling, etc., most people like to have the student put them together. That is one of the great things about these. You can pick what works best for you and you can lay them out, add or subtract parts for your own needs. Lapbooks and file folder games can overlap. But, I think that lapbooks are used more to add information as you are studying a specific concept or subject. Even though both usually use a file folder to hold the contents, lapbooks are usually folded different and can have more pages added to them. 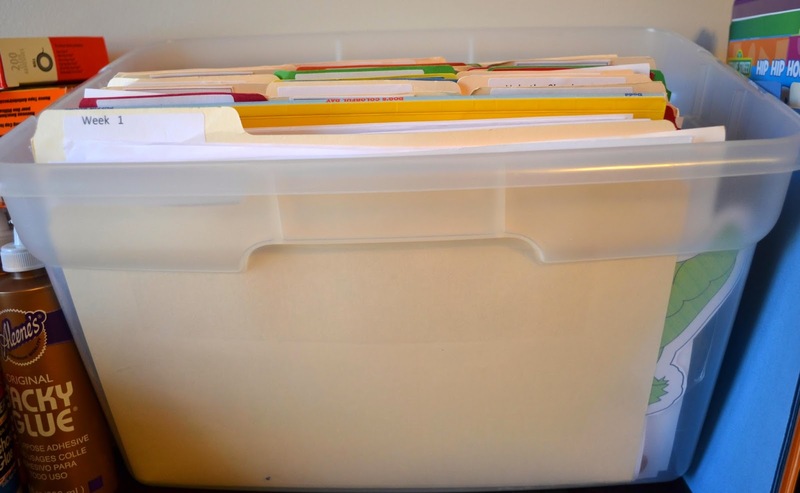 File folder games might be an obvious game, or be a type of learning tool that has match-up cards or put-it-in-order, etc. that can be used like a game. I love these because all I have to say is "Let's play a game!" and it's all about learning, and the kids do not even realize it! And, they can be used over and over! Answer: Think of each question as a lift-the-flap. When I am teaching and using these as a review, I ask the question, then the students lift the top, which is the question, and write the answer inside. It is just more fun, and with the answers inside, it can be kept and used for review again. Almost every lapbook printable is created to be used like this. If the design doesn't permit this, then it is usually written on the back. As always, there might be something a little different, but that is the basic way to use them. 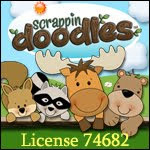 This is the links for the lapbooks I have available. I wanted to add a button on the sidebar to make it easier to find the lapbooks, since I plan to add a lot more over time, so I needed to have this post for the link! A file folders game link will be added next week! I will add more links as I add the posts. 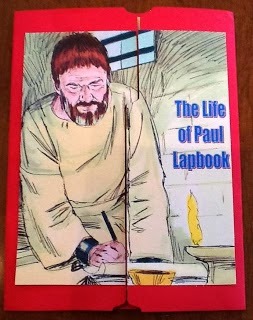 If you look at the above Life of Paul lapbook, you will see how to fold the file folder for a lapbook, and different ways I added cardstock to make more room for information. This is how I store just about everything! All my lapbook and file folder games, lessons I am working on for the quarter, preschool stuff I am doing at home, even a lot of my Bible class visuals and craft supplies. We totally emptied out the teacher's supply room at our church building in Ohio. We painted, added new carpet and built counters and storage just for that room. I stored everything on open shelves in the 3 different sizes of these that are available and labeled everything. Everyone could find what they were looking for fast and I could see what needed restocked easily. And, they can be shifted around as supplies are changed. I use the 20 QT. size for the files, lapbooks, FFG. (Sterilite # 1844 [16 7/8 x 11 1/2 x 9 1/4]) and I usually find them cheapest at Wal Mart. 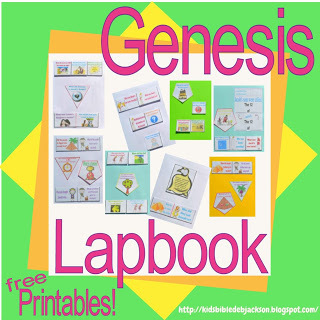 Here is my Pinterest board for lapbooks, etc..
We haven't made a lap book yet. They look like a lot of fun though. Thanks for sharing this with Thrive @ Home Thursday! Thanks Jenni for stopping by! I appreciate you hosting each week! Hi, Crystal, the spiral books I print and bind myself, so, sorry, they are not available preprinted. 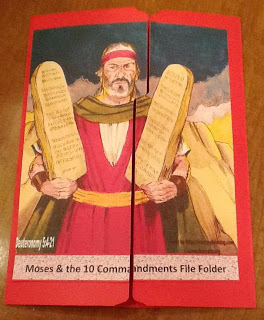 If you don't have a binder, see if the church building has one or I think some office supplies store will bind for you. If you might use it enough, I bought mine used on eBay, or you could check Amazon. 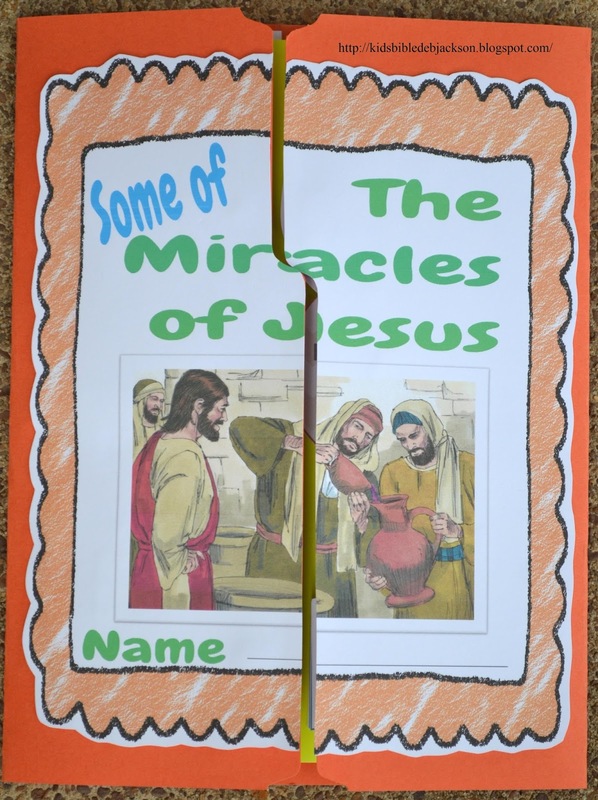 I added some Miracles of Jesus if you are still working on Jesus. I appreciate the comment! Glad you stopped by. I just did the creation. They have me teaching 4-K we'll have Noah this next Wed. Not sure how much they can do on their own. I may try to ad some to the Noah lapbooks you have like what did Noah build, what did he put on the ark . For the creation we used those stacking pill containers and they put things in it for each day of what God created and labeled the day for them. they loved that. and I had some grapes, slices of apple etc for them to eat and asked them what they thought Adam and Eve ate. did they eat pizza or hot dogs etc. they loved it. Thanks for all of the work that you put into these. I greatly appreciate it. I was wondering how close you are to having the Parables one done? I have been teaching them to my class at Church, and we are going to promote the older ones to another class in 2 weeks. I was wanting to put the lapbook together before they leave my class. Any assistance would be greatly appreciated. 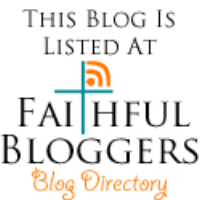 I am so glad I stumbled upon your website! These lapbooks would be wonderful for my kids to have during evening services when there are no children's programmes! 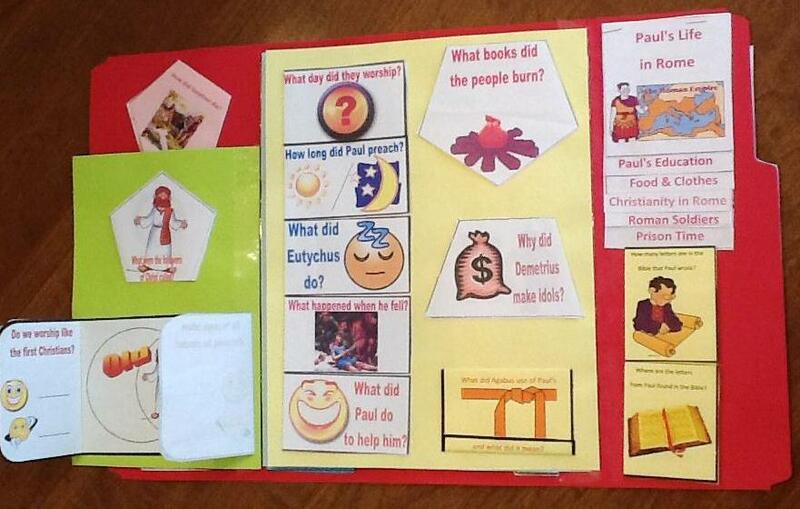 This is such a great way to learn, not just colour (that gets boring), while they are in the Lord's house. I can't wait to see what other goodies you have here :) Thank you for taking the time to share your work with us all. I'll be passing it on. Thank you so much for the nice comment! The kids in my class love them and my preschool grandkids do too! 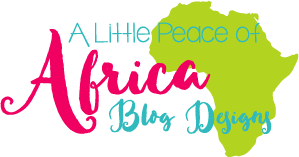 Thanks so much for sharing the blog! That is a big help! This is an amazing site! Thanks so much for sharing your ideas. I was wondering if there is a place I can download free templates like some that you have? I found one site but it only allows me to add text or pictures at certain spots. I appreciate all your help. 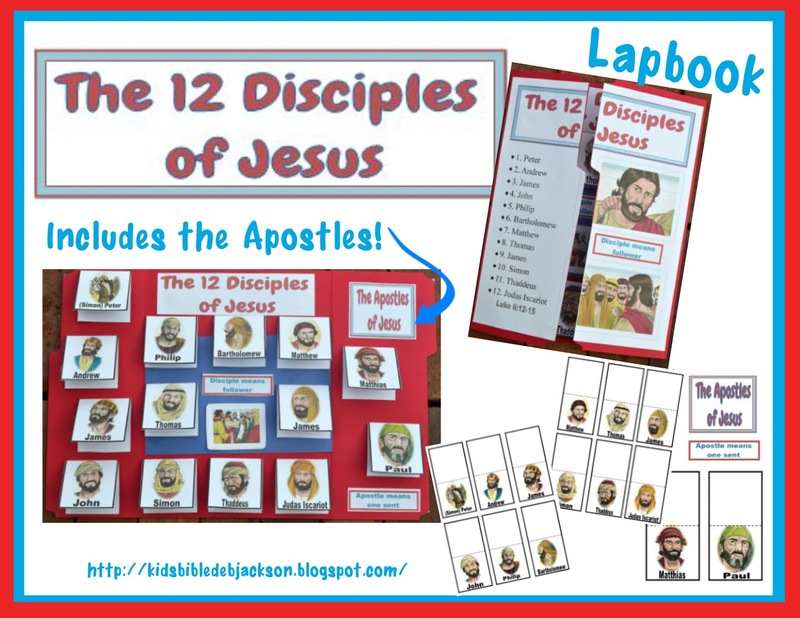 Hello, there are places that have free templates, you might find some on my Pinterest board here: https://www.pinterest.com/djac123/bible-lapbooks-ffg-books-foldables-etc/ I have purchased (look for freebies too!) 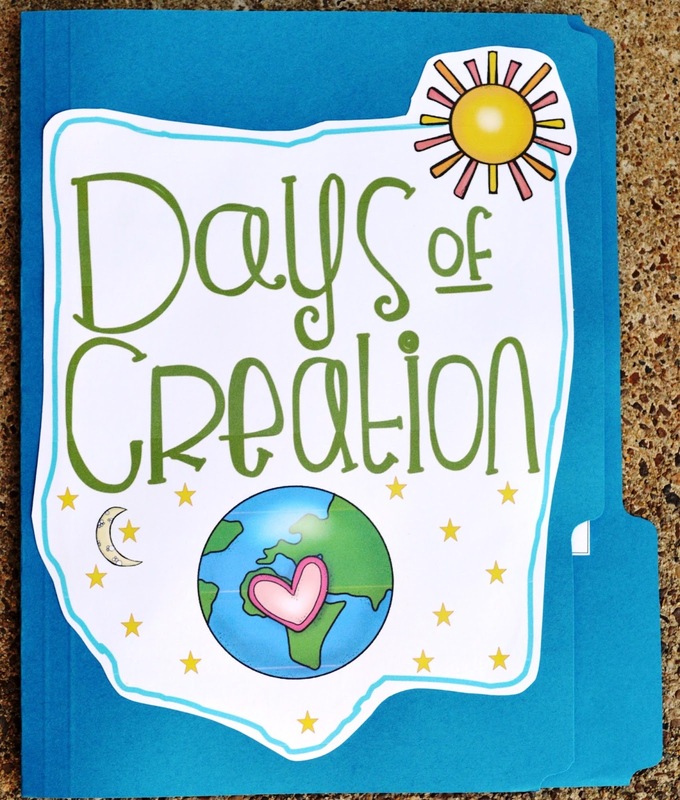 some here: https://www.teacherspayteachers.com/Store/The-Candy-Class/Category/-interactive-notebook-templatesx or https://www.teacherspayteachers.com/Store/Tangstar-Science/Category/-Interactive-NB-Templates. Thanks for visiting! I wish there was classes on making lapbooks. I need to make one from Abraham leaving Ur to the Romans at the time of Jesus birth where the Israelites through Abrahams family all nations . Where all the different nations bigger than Israel would conquer , then another . Are the lapbooks made for each child in the classroom, or it's what you use during class? Kellie, they are usually made for each student. If you are using them at home, the student can make it themselves. 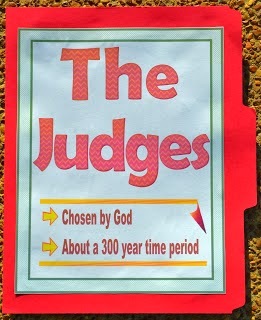 I pre-make them for Bible class because there just isn't enough time and we use them for review or application. Thanks for stopping by!